As part of a well-known multinational real estate brand, Century21 ModHomes needed a reliable, fast and cutting edge real estate website that would not only reflect their corporate branding but also showcase their extensive real estate stock portfolio in a fresh new style. 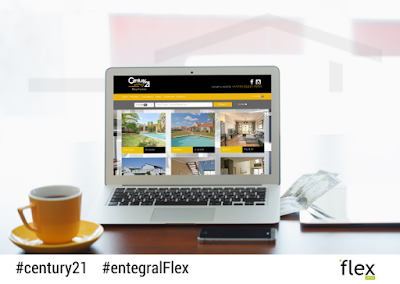 With the latest technology provided by the Flex responsive real estate solutions, the upgraded website which uses a custom design for the Century21 franchise, is now responsive, which ensures that the site will adapt to any screen size. This not only eliminates the need for an additional mobile website but also ensures a sleek, professional experience no matter where it is viewed from. Furthermore, it also boasts with integrated property alerts, on show property search functionality and a news section. This Sandton-based office relies on Entegral’s Office Management System (OMS) to manage and advertise their listings on all of the major property portals including their own Flex website.